Many people don’t think to ask their doctor “is hydrocodone an opiate?“ Patients are often desperate to alleviate painful symptoms, and they may not be thinking of the potential consequences of taking opiates on a regular basis. Opiate use and addiction is at an all-time high in the United States, with more than 183,000 Americans dying from overdoses over the past 16 years. Is hydrocodone an opiate? Or is that simple definition a bit more complicated? Actually, hydrocodone is a semi-synthetic opiate, made of chemical compounds taken from natural sources containing medicinal properties. In the case of hydrocodone, codeine, which is synthesized from the opium poppy plant, is part of this drug’s makeup. What is hydrocodone in chemical structure terms? The drug can be related to codeine and morphine, both strong pain-relieving agents. Hydrocodone can be classified into eight various drug combinations when mixed with chemicals like acetaminophen, ibuprofen, and pseudoephedrine hydrochloride. Any of the chemical structures of hydrocodone are classified as a Schedule II narcotic by the Drug Enforcement Association (DEA). Taking hydrocodone for a lengthy time period can lead to addiction. 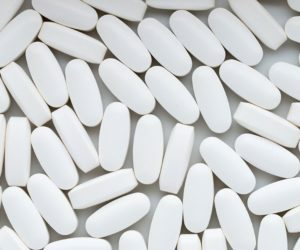 There are some common hydrocodone side effects users may experience with long-term use, such as sleepiness, dry mouth, and cold-like symptoms, among other side effects. Addiction to hydrocodone is serious. Withdrawing from this drug on one’s own can be dangerous. It’s important to get in touch with a treatment center like WhiteSands Treatment in Tampa to assist in withdrawal from hydrocodone and receive appropriate addiction treatment. How can you determine whether you or a loved one is addicted to hydrocodone? There are some classic signals that someone who has become dependent upon this drug will exhibit. Someone lies about having pain from an injury or greatly exaggerates their need for pain relief in order to get prescriptions for hydrocodone. Going doctor shopping in order to get more than one prescription from two or more physicians. Frequently refilling or requesting refills. Becoming socially isolated, not wanting to spend time with others as in the past. Obtaining and taking the drug becomes the most important objective in life to the exclusion of other activities that were once enjoyed. Mood swings and personality changes are observed. There are withdrawal symptoms associated with stopping the intake of hydrocodone long-term use. These symptoms can be at their strongest levels up to 72 hours after taking the last drug dose. It can take ten days or so of close monitoring by an addiction specialist at WhiteSands Treatment to ensure a patient’s comfort and safety. The most successful way to beat an addiction to hydrocodone is by getting help at a rehab facility. Here, you will be guided through withdrawal and guided through a program for addiction treatment. Additional help with any co-existing mental disorders and ways to avoid relapse are important parts of any rehab treatment for hydrocodone addiction.